We all love to travel, though there are always woes associated with the limitations of our everyday luxuries. Whether it be an unorganised suitcase or a lost Wi-Fi signal, we all need some help when we’re roaming the world. The latest travel gadgets of 2018 can make even the least experienced traveller a pro. Here are Newcastle Connections top 10 items to get your hands on! 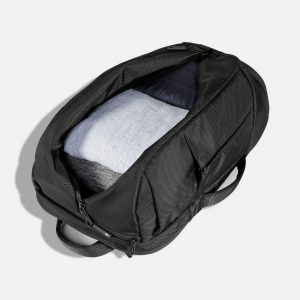 Made of hard wearing nylon, the Duffel Pack 2 by Aer sees luggage limitations become a thing of the past. 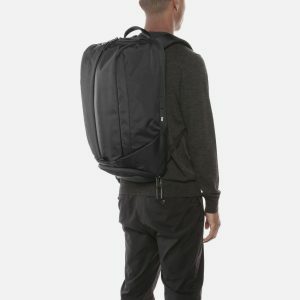 This compact pack can see you fit a laptop, three days’ worth of clothing and your small essentials in one zipper tight bag. 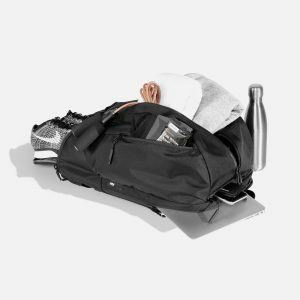 With a choice of 3 colours, the Duffel Pack 2 will only set you back $170. This bag is perfect for short travel schedules or the light packer, helping you organise the essentials! 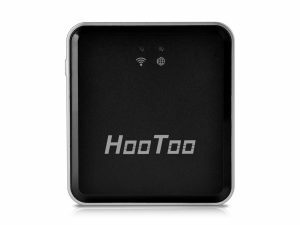 Create your own secure Wi-Fi network while you’re on the go, with the lightweight Hootoo Wireless Router. The anxiety of no internet is felt by most travellers, though the pocket sized Hootoo will only set you back $29. Want to free up space on your mobile devices? Simply use an attached USB flash drive and Hootoo backs up all your travel memories while you’re on the road. It’s often the last thing on your mind when gearing up for your next holiday, though additional Baggage fees are a real killer. Major air company guidelines can set you back hundreds of dollars if you’re not careful. 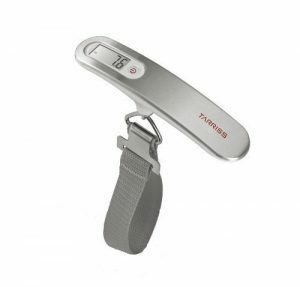 The third travel gadget we’re loving is the Tarriss Luggage Scale – a digital, handheld weight for any travel bag. 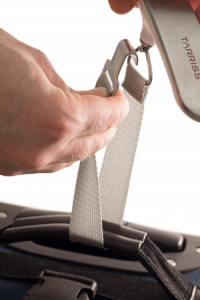 The scale will accurately measure the weight of your suitcase and carry on’s, with a lifetime warranty on all models. For just $18, the Digital Scale is extremely dependable and is built for a lifetime of travelling. If you, like most travellers, depend on plastic water bottles whilst travelling this next one if for you! 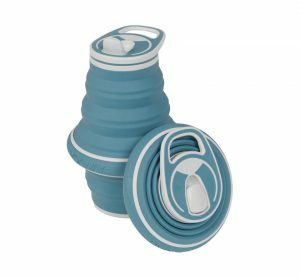 The Hydaway Water Bottle is so versatile through its thoughtful design that lugging around empty water bottles is a thing of the past. 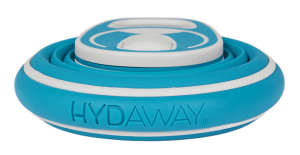 Easy to pack when empty, the Hydaway is made from food-grade silicone and is safety certified. The tested materials make the Hydaway taste and odor-free, so even busy mothers are turning to this alternative method of keeping fussy little ones hydrated. Don’t get caught out on your next international adventure with the issues of outlets and adapters. 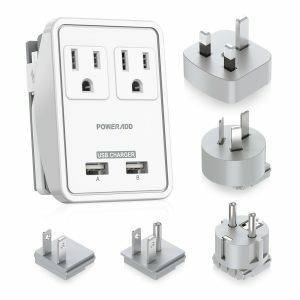 Poweradd has developed a 2 outlet charger with interchangeable heads, fitting the needs of the North American, United Kingdom, Continental Europe, Australian, Japanese and Chinese plugs. They’ve even thought ahead with USB ports and Micro USB connector, so you can have all mobile devices fully charged before a day of travelling. Covering more than 150 countries, we recommend this top pick for any level of adventurer. Sick of stepping out on the town wearing creased and crinkled clothes? The Steamfast Travel Steam Iron is the smallest of its kind in the world, so you can have pushed shirts in any country around the world. 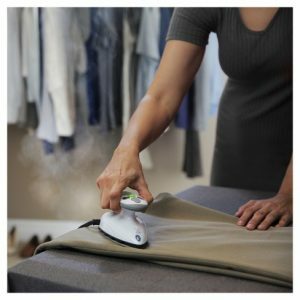 With three fabric heating levels, the Iron is the size of a computer mouse and is a favourite amongst business travellers. We’ve all seen the meme, but the Ostrich Pillow is in our Top Ten Travel Gadgets for 2018. Forget struggling with jet lag, the odd-looking pillow creates a micro sleeping environment that increases productivity to those using it. Made from polystyrene and a soft interior, the Ostrich Pillow eliminates noise and light disruptions we’re all felt whilst traveling. Do yourself a favour and invest the money for a better time on the road. You’ve just arrived at your Airbnb or Hotel, and you’re stuck with two hangers for a suitcase worth of clothing. 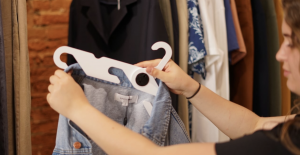 In comes the HandyHNGR, a foldable hanger by patent-pending design processes. The ergonomic form and rounded design protects all fabrics from damage while traveling, and comes in three colour choices, so you can effortlessly match your wardrobe. If you’re needing an extra touch, HandyHNGR can be customised with the business logo or name. 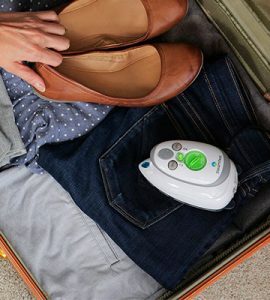 Tired of packing multiple pairs of jeans into your already tight suitcase? Skip the bulk, and try the Flyte Minimalist Travel Jeans, ideal for carrying all your essentials. These Kickstarter designed jeans are light weight and offer room to move, as well as pockets offering quick access. 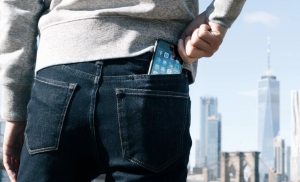 The jeans also come with a handy slit pocket to hold your smartphone and passport. In addition, the integrated key loop ensures you never drop or lose your keys. Made of 360-degree extreme stretch denim fabric, Flyte jeans offer full range of motion and extreme comfort. The jeans come in two styles: Slim Fit for men and Skinny Fit for women. Need Airport or Cruise Transfer? Newcastle Connections specializes in Sydney Airport and Cruise Terminal Transfers from anywhere around The Hunter – minimising your travel disturbances and taking the guess work out of your travel schedule. This service is shared with multiple clients, who are all after the same thing; hassle-free travel at the best price. Our shuttle schedule ensures minimal disruptions, with our drivers outlining passenger drop off order once all are boarded. We offer comparative prices regarding your preferred travel schedule, and seeing you arrive safe at your final destination is our number one priority. Our main focus is to deliver an above satisfactory service to our wide range of clientele, with experienced drivers in our up-to-date fleet to meet any travel needs.